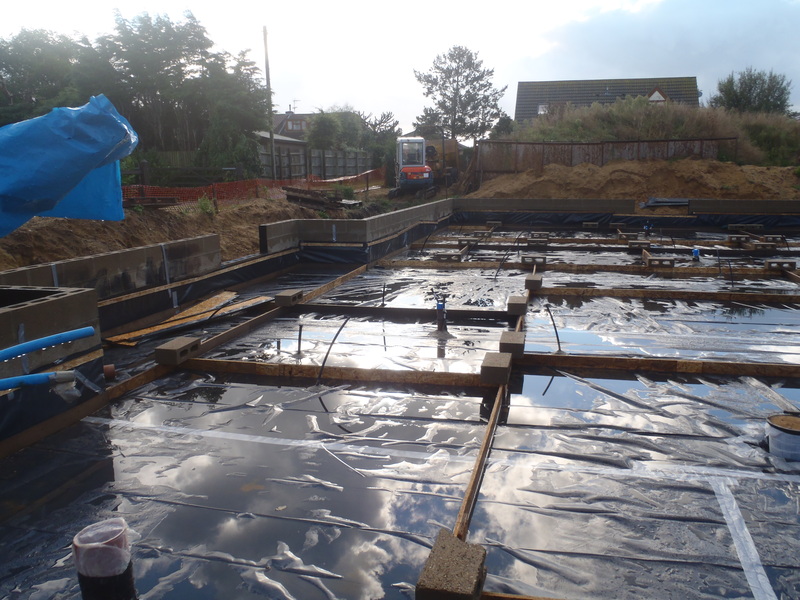 Rain, Rain, Rain – Before Floor Slab is Poured! We woke up to the news that we had well over 10mm of rain overnight, plus the 5mm we had the day before and thus making 15mm of rain! Oh My! 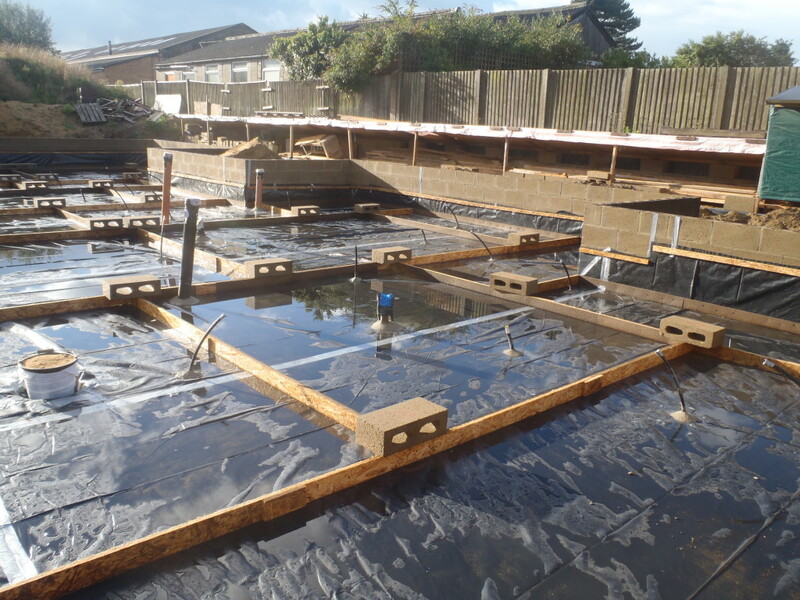 And Tomorrow, it is the day of the Floor Slab being poured with just short of 30,000 litres of concrete!! But after inspecting the plastic, it is not that bad at all actually. It seems that there is still plenty of “holes” in the plastic layer, namely all the various pipes (all 40 odd of them!) sticking up and the concrete blobs around their bases doesn’t make an absolute watertight seal and the rain water is able to leak out slowly. This is good news – Thank Goodness!! Or we would have to clear out well over 3500 litres of water if it had been perfectly sealed! Phew! 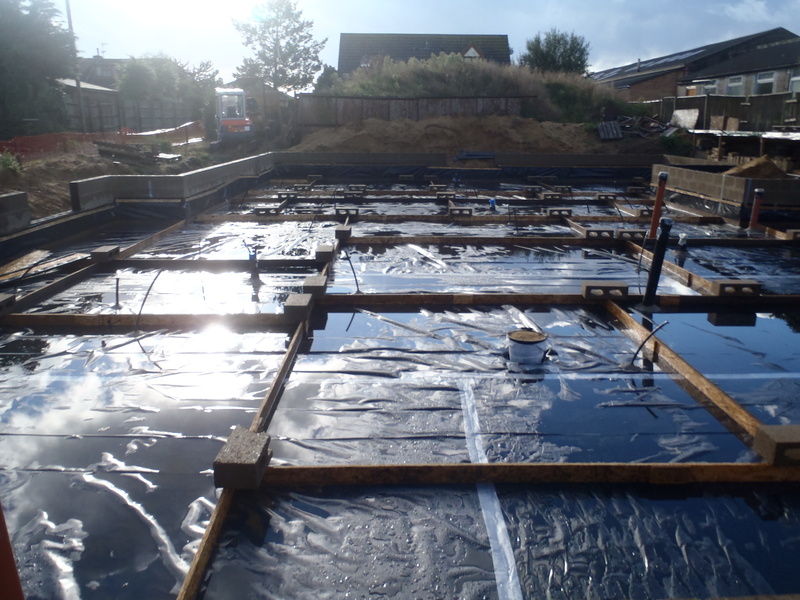 Day 2 of Installing the Pipework for Rainwater off Roof Floor Slab is Poured!